I've been keeping my eyes open at Eurokangas for a good white fake fur, and something cheap of course! Then I stumbled one day on kangastori.com, the prices looked pretty cheap and I was about to order until I noticed that you could order a free sample! 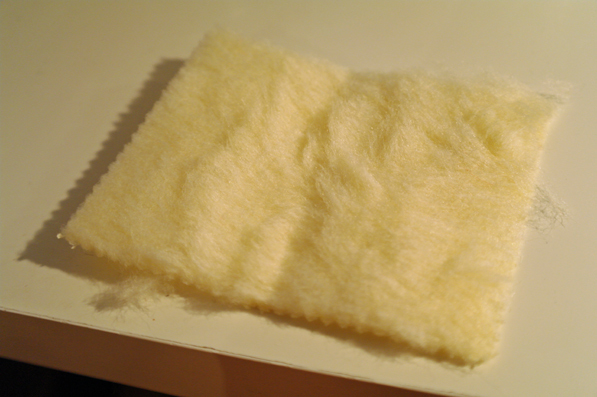 Luckily I decided to order the sample since it doesn't look at all what I thought it would, the fur is just too short! So maybe I'll just keep having my eyes open at Eurokangas since I'm in no hurry with this cosplay anyways. But if anyone does know a good store where I can find fake fur or on the internet the please comment! Cause I really have no idea where to look for!